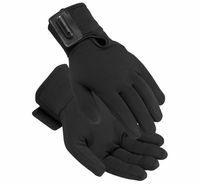 Use Firstgear® Heated Glove Liners to actively heat your favorite non-heated pair of riding gloves. Warm hands mean a safer riding experience when manipulating clutch, brake and throttle controls. Stretch polyfabric is thin, light and comfortable. 95% polyester and 5% spandex ensures a close, clinging fit for maximum comfort and heat transfer. Heat controllers sold separately. Visit our Heated Gear department to see all the controller and accessories related to this product.